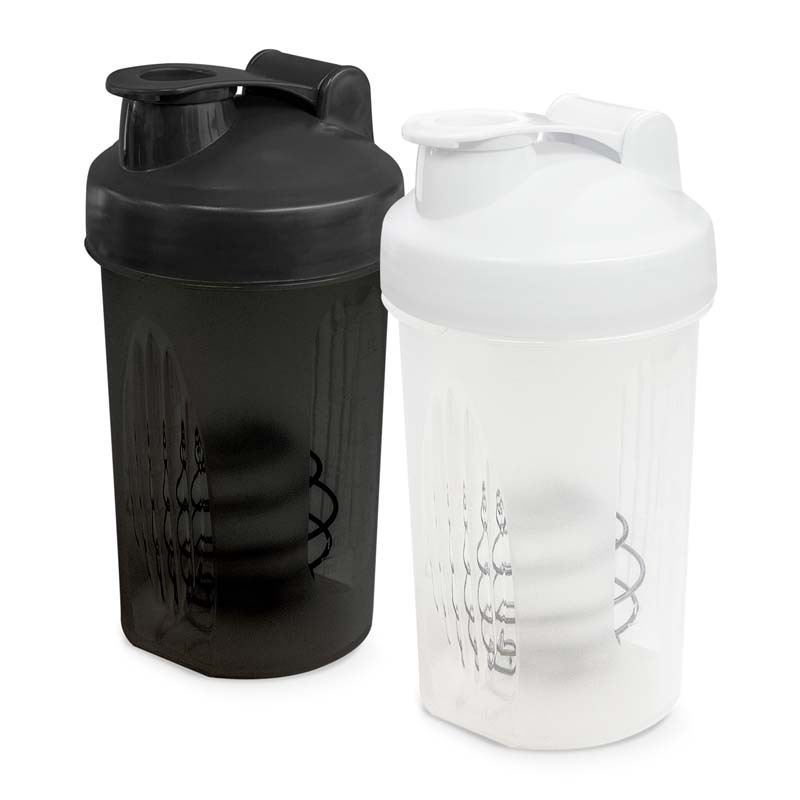 BPA free 400ml polypropylene drink mixing shaker with a secure screw on lid and a snap closure. It is designed for mixing and pouring powdered drinks and nutrition supplements. Atlas has both metric and imperial graduations and a stainless steel mixing ball which helps to break up powder granules. Colours Lid: White, Yellow, Orange, Pink, Red, Bright Green, Light Blue, Royal Blue, Purple, Black.